GRAND CAYMAN (GIS) – Gender Affairs Unit staffer in the Ministry of Community Affairs Karlene Bramwell has been named as the 2019 Wendy Quinland Award recipient. The Senior Policy Analyst was given the accolade at the Honouring Women Month (HWM) reception at Government House earlier this month, following the success of this year’s observance in March. The Deputy Governor, Hon. Franz Manderson, MBE, was in attendance and expressed how delighted he was to witness this example of cross-departmental fellowship. “I knew Wendy as a Community Development Officer, and personally,” she added. “Advocating for people in general, working for social justice, bringing awareness and promoting action for gender equality has been a theme throughout both my personal life and my career; so being involved in campaigns and events like Honouring Women Month, or any other movement that benefits humanity, is a natural fit for me,” the recipient concluded. “It is fitting recognition of the powerful passion and perseverance she brings to her work. Thank you FRC for publicly recognising Karlene’s contributions and for coordinating a successful 20th anniversary of HWM,” he added. 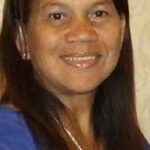 (GIS) – The Ministry of Community Affairs is pleased to announce the appointment of Paulinda Mendoza-Williams as Director of the Department of Children & Family Services (DCFS) effective 13 November 2018. Following a recent recruitment process, which attracted a number of strong candidates, Mrs Mendoza-Williams was offered the DCFS directorship. Felicia Robinson, the current Director, and Mrs Mendoza-Williams are working together during an interim transition period. 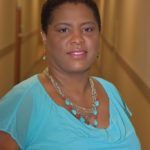 Mrs Mendoza-Williams has 20 plus years of experience in the social work profession. She originally started as a social worker and steadily progressed in the department. Currently Deputy Director of Clinical Services, Mrs Mendoza-Williams has been in this role since October 2012. She has also acted in the capacity of Director numerous times. In 2015-16 she was Acting Director for 10 months, prior to Mrs Robinson’s appointment. Most recently, Mrs Mendoza-Williams was seconded to the Ministry of Community Affairs. 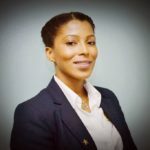 As Assistant Chief Officer in February 2018, she was responsible for oversight of the review and policy development of the Cayman Islands Multi-Agency Safeguarding Hub (MASH). As Deputy Director, Mrs Mendoza-Williams is actively involved in restructuring the Department to reflect a more specialised approach to social work delivery. Her other job-related accomplishments include assisting with the restructuring of the financial assistance programme by establishing the Needs Assessment Unit; the development, implementation, monitoring and review of legislation and policies that impact best practice in social work such as the Children Law, Youth Justice and Adoption Laws. CICSA (the Cayman Islands Civil Service Association) is privileged to offer school bags packed with supplies to members with school-age children. CICSA President John Bothwell said that by providing these school bags to members, the association is underscoring the importance of education. While most parents and guardians make sure their budgets can cover the costs of a new school year, it nevertheless can be a challenging time financially for families, Mr Bothwell said. CICSA members are invited to come by the CICSA office between 1pm and 6pm, Monday, 30 July to Friday, 3 August, to collect bags for their children. CICSA’s office is located upstairs in the No. 1 Shoe Shop Building on Walkers Road. Please bring a form of identification and your government pay stub that shows your $5 CICSA monthly deduction. If you are collecting bags for other members, you’ll need their IDs and pay stubs as well. For civil servants who aren’t CICSA members, it’s a great time to join. CICSA advocates for your interests, and it helps make the Cayman Islands Government a great place to work. To become a member, just send an email to info@cicsa.ky. They’ll send you an easy application form to complete and return. (Source: GIS) – As the recently appointed Chief Financial Officer (CFO) in the Cabinet Office, Ms Krista Seymour-Mohammed sees herself as being in a more strategic position to help enhance the effectiveness of both the Portfolio and the wider Civil Service. Key financial advisor to the Cabinet Secretary Samuel Rose, the CFO’s duties involve establishing policies and procedures to ensure that all departments are operating in line with international accounting standards and local financial legislation. Furthermore, Ms Seymour-Mohammed has direct responsibility for the preparation of the annual budget and annual financial statements. During her tenure as DCFO, one of her key accomplishments was establishing processes to improve the month-end review and reconciliation of the accounts. This improvement led to more accurate accounting information being provided throughout the year. Ms Seymour-Mohammed’s professional qualifications include Bachelor’s and Master’s degrees in Finance and Business Administration from the University of South Florida. She is a member of the Association of Chartered Certified Accountants (ACCA). 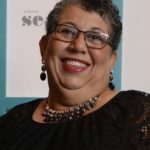 Before returning to the Civil Service in 2015, Ms Seymour-Mohammed worked for Caribbean Utilities Company and, prior to that, with the Cayman Islands Government Treasury Department for five years and Cayman Islands Development Bank for three years. Beyond work and family life, Ms Seymour-Mohammed likes reading, and writing fiction. The Cayman Islands Civil Service Association extends our condolences to the family, friends and country of Mr. Kirkland Nixon. We lost one of our own, a man who involved himself in many facets of the Civil Service, the Association, and the country as a whole. 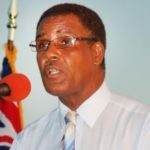 He was a strong advocate for equity and fairness throughout the Civil Service, and for the people of the Cayman Islands. He served the country with dignity, humility and respect professionally and personally, going beyond the normal routine in his voluntary roles to make sure that the people he served were well served. He provided a touchstone to the past for many of our younger Civil Servants and in the wider community, remembering the struggles that went before and giving inspiration for the road ahead. The Cayman Islands Civil Service Association and the country will miss Mr. Kirkland Nixon. The Cayman Islands Civil Service Housing Association will be accepting loan applications from its qualified members from through March 29th, 2018.